Medications:Your doctor injects corticosteroid medications into your knee to reduce pain. However, this doesn't always prevent the reoccurrence of the cyst. Fluid drainage:Fluid from your knee is drained using a needle that is guided by ultrasound. Steroid injections sometimes follow fluid drainage to reduce inflammation and pain. Physical therapy:Your doctor may suggest the application of ice and a compression wrap or crutches to help reduce the pain and swelling. He/she may also include strengthening and range-of-motion exercises for the muscles around the knee. Surgery:Your doctor may treat the underlying cause rather than the condition itself. 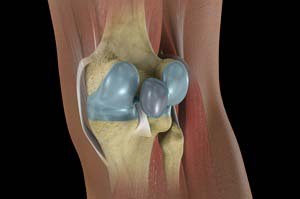 If a cartilage tear is causing the over production of synovial fluid, surgery may be determined to repair the cartilage.